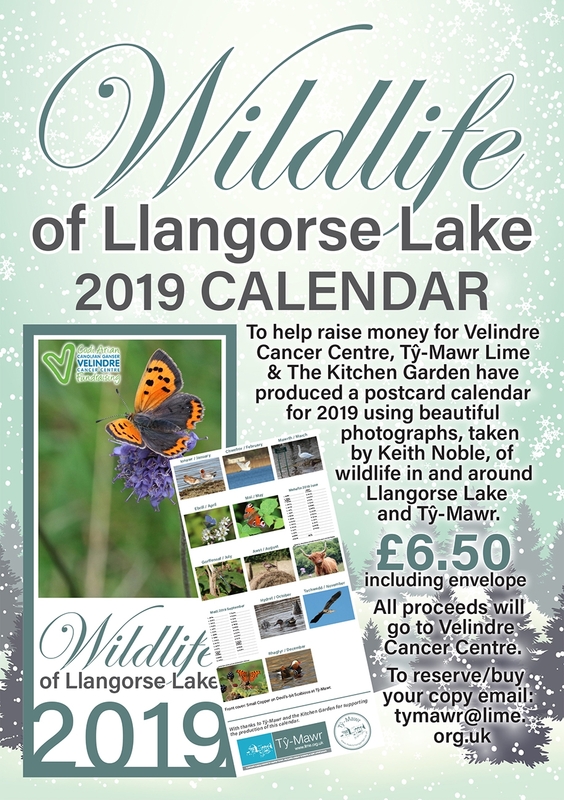 To help raise money for Velindre Cancer Centre, Tŷ-Mawr Lime and The Kitchen Garden have produced a postcard calendar for 2019 using beautiful photographs, taken by Keith Noble, of wildlife in and around Llangorse Lake and Tŷ-Mawr. The calendars cost £6.50 including envelope (or we can post one to you for £10 including postage). With all proceeds being donated to Velindre Cancer Care. A perfect gift for the wildlife enthusiast or for yourself! To reserve or buy your copy please email tymawr@lime.org.uk! Limited stocks available so you will need to be quick! You can also call in to unit 12, Brecon Enterprise Park of the Kitchen Garden shop at Ty-Mawr Llangasty where we have calendars for sale.